A one day “SMART Retail” conference is coming to Belfast in September to help Northern Ireland’s retailers and high street traders understand how technology is revolutionising this sector. According to the latest UK Company Insolvency statistics state that in the 12 months ending Q1 in 2018, one in 210 companies entered insolvency. Hosted by SMART Global, “SMART Retail” aims to educate retailers on how to accelerate the growth of the high street through a series of interactive workshops and industry expert lead seminars which will equip retailers with the digital marketing information, ideas on how to integrate innovation and technologies into their business to help them thrive and survive, with a core focus on how to create better customer experiences both in-store and online. 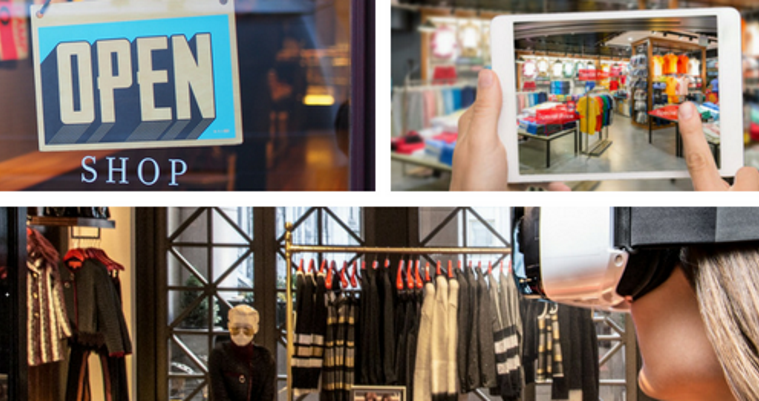 From looking at global best practice and real-life examples of retail businesses engaging in social platforms to marketing, analytics, Point of Sale and rewards – we will explore how to understand diverse customer segments and offer personalisation in-store. The series of guest speakers have worked with brands including Dior, Emirates, Topshop, Boots and Debenhams and will educate the audience on how to create a more engaging and relevant brand experience and how to educate shoppers in the increasingly crowded space of connected devices. Keynotes will be offered by Caroline O’Neill, Founder, DIGG Childrenswear, Barry O’Sullivan Professor of AI, UCC, Marty Neill, CEO, Airpos, Conall McDevitt, CEO, Hume Brophy and Gavan Wall, CEO, The Wall Group. “SMART Retail” will be held on September 20th, 2018 in Belfast Met’s, Springvale Campus, e3 building.